“The Phoenix Firestorm Project Inc. is a non-profit, incorporated organization whose mandate is to improve the user experience in Second Life and other virtual worlds by providing an advanced open source viewer with greater features, options and interface flexibility than the standard offering by Linden Lab. The project has approximately 80 volunteers working for it and are managed through departments divided up as Development, Support and Quality Assurance. We provide live support 24/7 in nine different languages inside of Second Life through our support groups and on the web via our issue tracker. 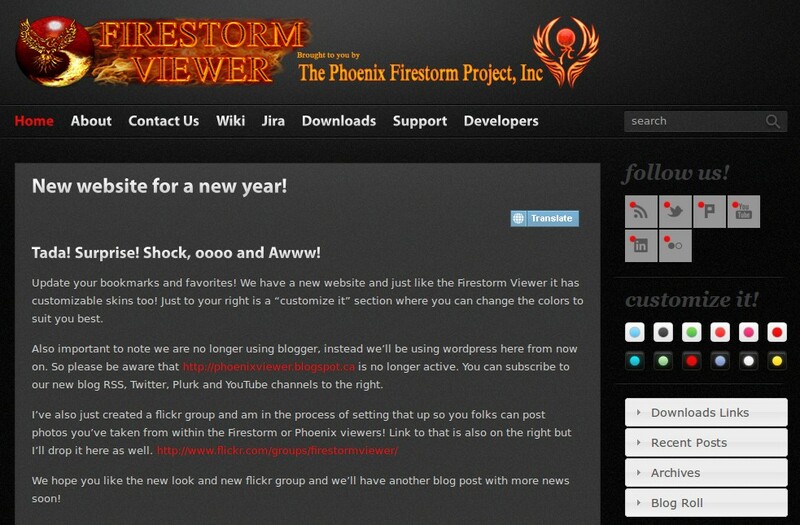 This entry was posted in Start and tagged New Firestorm for Virtual World, New Firestorm Viewer, New Firestorm Website on January 18, 2013 by Xpontaneus.